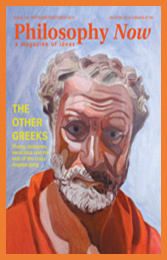 This magazine’s readers must have surely have noticed that recently there have occasionally appeared in its pages a lampooning of professors declared as pretentious, as well as a revisiting of the caricaturing of the proverbial Academic Ivory Tower declared as too abstract and irrelevant to the needs of the real practical commercial world. If there is a subject, among all those taught in academia, which is traditionally considered a useless irrelevant subject for the needs of modernity, to be lampooned and caricatured it is of course philosophy. The funny thing is that the lampooning, quite often, comes from none other than professors themselves. That phenomenon deserves a hard look in itself, but since it belongs in the field of abnormal psychology, we will not pursue it here. The attentive reader must have also have noticed that philosophy is unapologetically accorded pride of place in Ovi Magazine; something to brag about beginning with ancient Greek philosophy where the subject began as an academic discipline to present day philosophers, frequently mentioned in its pages. The question arises: do people actually read those philosophical postings, be it in individual contributions or those in the bi-weekly Symposium? And if they do, is it because they find there a simplification or even dumbing down for the average layman of metaphysics, epistemology and logic, of the great ideas of Plato, Aristotle, Vico, Spinoza, Habermas? Ovi has done that, but undoubtedly there is a debate going on in academia where there are some Deans who would consider anything not published in a prestigious academic journal for academic experts, duly peer-reviewed, quite worthless as criteria for promotion or tenure. Let’s do some exploration of this thorny issue. A follow-up question is this: which is the appropriate venue for philosophic discourse: the elitist confines of university campuses with their ivory towers or the agora, or public square. Socrates, who is considered the father of Western philosophy would have no hesitation in choosing the latter venue where he actually did most of his teaching, preferring to write absolutely nothing in his whole tenure there. It was his student Plato that made Socrates’s thought known to us. There are now even best selling philosophy books. 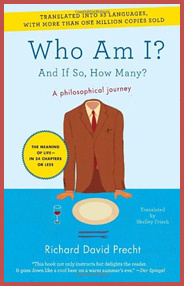 For example, Who Am I—and if So, How Many by David Precht, has sold 1.4 million copies, and has been translated into 23 languages. 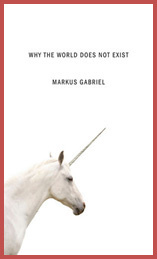 Also Why the World does not Exist by Markus Gabriel, a philosophy professor at Bonn University, which argues that metaphysics is dead, was on the best seller list in 2013. 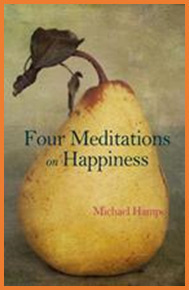 Also Michael Hampe’s Four Meditations on Happiness where he reflects on the complexities of writing philosophy for the general public. In his opinion it is more complex than writing a book after some research in a subject and publishing it with an academic press. Be that as it may, it appears that theoretical thinking becomes even more crucial in rapid changing crisis-ridden eras. There is an anxious search around for the kind of support and orientation that religion had once provided. Social media just does not do the job. All this is not to deny that an academic setting may still be the best setting for doing philosophy and that one ought never dumb down philosophy by asking over-simplified questions to be answered by simple answers. Oversimplification in philosophy usually means getting it wrong. However, the fact remains that philosophy is once again becoming popular in and out of academia. I teach philosophy, and in the last few years I have seen undergraduate students packing classes of 30 students each. Some universities have had to limit the enrollment of philosophy undergraduate students. There are signs that even the professors of philosophy, the so called “pretenders,” are enjoying the new found recognition and influence beyond the classroom. Perhaps academic philosophy and popular publication can coexist after all, as long as one does not mistake one for the other. The challenge, if there is one, is how to get those same academics to express themselves clearly in the public square, without academic jargon in a Socratic dialogic style. The public intellectual of course is usually able to do both. The “pretenders” will simply be envious of the influence of the popular philosopher and cry sour grapes. In conclusion, Ovi magazine is undoubtedly in good company in emphasizing philosophy in its editorial policy. The gods, imagination and the poetical will eventually return and philosophy will not be far behind. Academic philosophy classes should be required for those who wish to become lawyers. Lawyers have corporate/science backgrounds these days and do not know how to build arguments soundly. Philosophy also helps enrich one's perspective, it adds layers, depth, and dimension to life. It can help one reach important, original conclusions, including the conclusion that God exists. Aah yes,the warm hearth of philosophy is a welcoming place indeed;where the cold,ragged,alienated,confused,inquisitive and dissafected soul starts to question the vacuum of modern life,holding up a lamp like Diogenes,inquire and ask questions about life; questions that religion once answered,and now being answered by those ancient Greek tools of philosophy revitalised once once more.....thank you for your article,enjoyed or immensely!